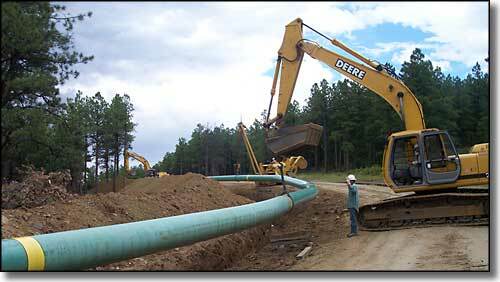 We install natural gas and produced water pipelines all over the western part of this county. 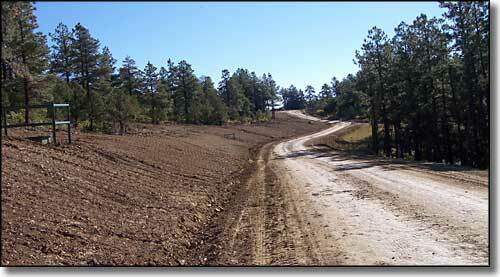 A project here could be anything from a couple hundred yards of 4" or 8" line to 20 or more miles of 36" to 48" line. It doesn't make much difference to us because these projects just keep coming at us. There's a lot of work here and we've proven ourselves the hard way: we just keep doing it right, and we get better and more efficient with every job. We work for operators such as Pioneer Natural Resources, XTO Energy and Colorado Interstate Gas. Our people came to us from all over America. 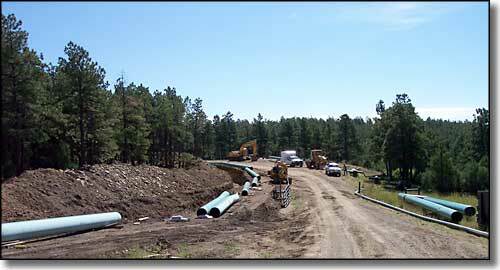 We have some excellent operators with years of experience working the North Slope of Alaska and the Alyeska Pipeline (at times, our working conditions in Colorado are similar to what that was like). As you can see from these few photos, we have some really good 'dozer, trackhoe, pipe-layer operators and some excellent pipeline welders. But the projects in our area will be growing for quite a few years yet and we need more good people. If you'd like to get into an exciting and rewarding trade, come and talk to us. Some of our guys used to be laborers but they showed some good interest and we've helped them become top-notch welders and equipment operators. To further our business plan, we have partnered with Trinidad State Junior College in developing the EPIC (Energy Production and Industrial Construction) Program. This program offers Certification (1 year) and Associate Degrees (2 years) in Heavy Equipment Diesel Mechanics, Heavy Equipment Operating and Professional Welding. Need a job? It's a good time to get in on a good thing. And the opportunities for advancement are great. We offer very competitive pay and excellent benefits to those who are motivated and prepared to make this journey with us. We have quite a few highly motivated and experienced people working with us already. We're looking for more and our future is bright, very bright. Are you interested?